Solarized Black is a fork of Ethan Schoonover's popular Solarized Dark color scheme that makes one minor tweak to the color palette: the dark teal background color (Base03: #002b36) is swapped for black (Base03: #000000). The result is a higher contrast color scheme that's easier on the eyes, especially when viewed in the dark. That blue background grows old, fast. It's such a small tweak that I don't normally bother to version control the result, but rather just install whatever Solarized Dark color scheme is available for the application I'm interested in, and make the one line change myself (it's really easy to run through most color schemes files and run s/002b36/000000/). That said, I think the result is worth sharing, and I'd like to start producing (or perhaps collecting) links to similar forks of the color scheme. 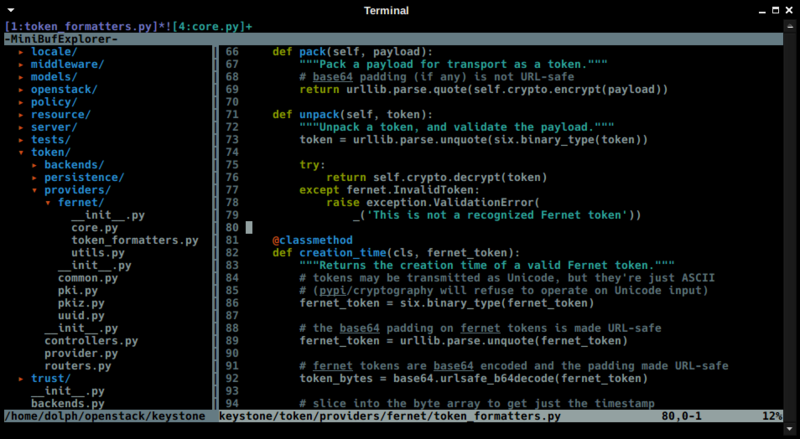 Download the Solarized Black color scheme for Vim. 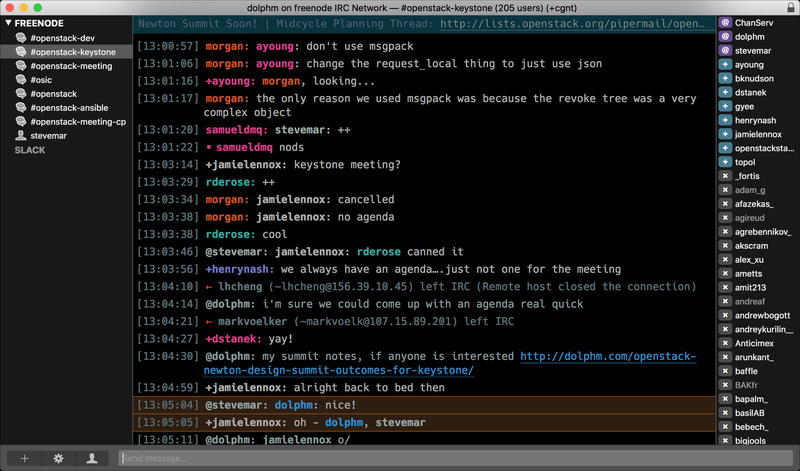 Download the Solarized Black color scheme for XChat. Download the Solarized Black color scheme for Textual 5.